In the ASSIMO project, the validation of the SMOS product is performed with in-situ measurements for soil moisture in the first 5 cm of the soil surface. An ~25 uniform points spread within a SMOS pixel have been selected. 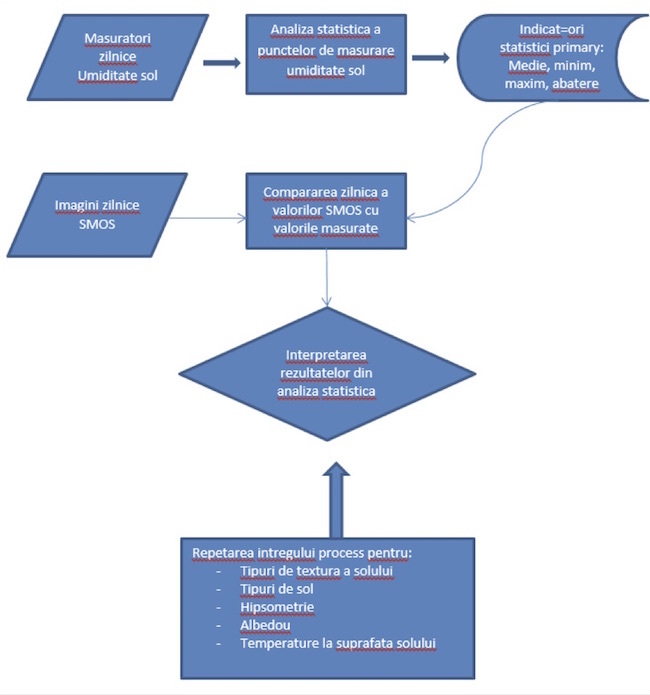 SMOS product validation is performed in various stages, both in terms of unique soil moisture value for the entire pixel and in terms of unique soil humidity value in relation to the environment factors from the validation pixel. The validation is also performed for each day, but it is also grouped by weeks, months, seasons for the mean, minimum, maximum values. 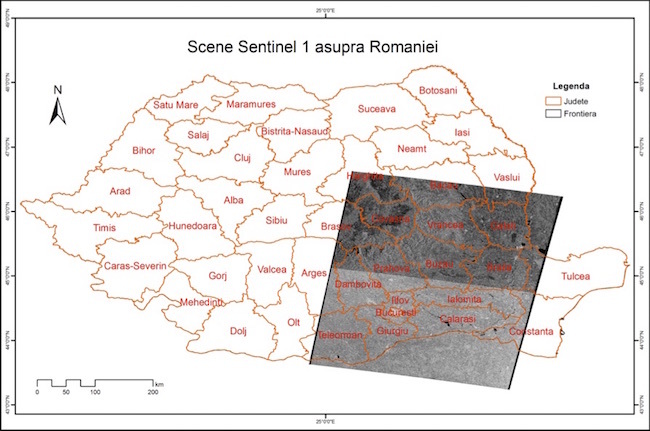 In addition to the SMOS satellite, the validation of Sentinel 1 products is desired. The sentinels, a new satellite fleet of ESA, are part of a global monitoring program that wants to represent a radical change in how we manage the environment, where we understand and fight the effect of climate change. The general objective of the Sentinel-1 mission is to offer continuity of the C SAR band for operational applications and services in Europe.